In Iran society is in an explosive state. People are crying out in the streets for change. 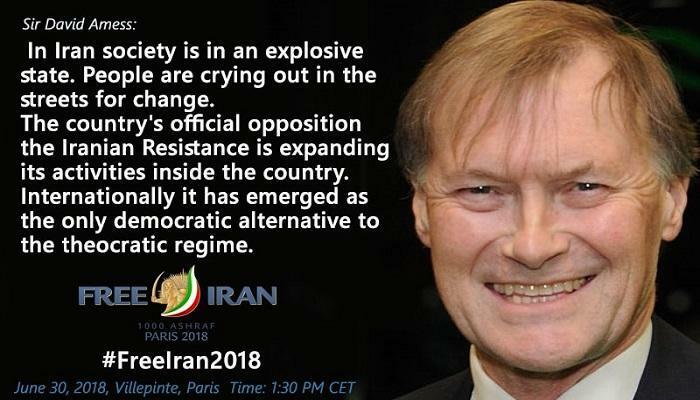 The country’s official opposition the Iranian Resistance is expanding its activities inside the country. Internationally it has emerged as the only democratic alternative to the theocratic regime. Today we do not want to talk about a condemnation of the mullahs’ crimes, we want to talk about regime change which is at long last within our grasp. We want to talk about a future Iran with Maryam Rajavi’s 10-point plan. I have a dream : an Iran free of execution and torture.